For courses in Entrepreneurship and Small Business Management. At the heart of a successful business is a sound business plan. 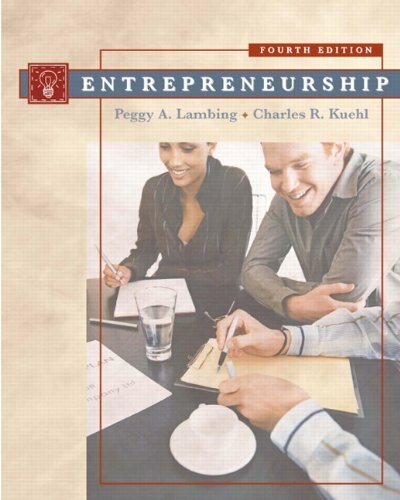 Capturing this reality, Entrepreneurship, 4th Edition focuses on basic entrepreneurial concepts and demonstrates how to develop an effective and thorough business plan. Organized in two-parts, it discusses ways to start, manage, and grow a business, all within the context of a sound business plan. Unique in emphasis, it blends theory and practice, current entrepreneurial research and concerns, and step-by-step guidelines for developing a business plan. Case examples and sample business plans keep readers motivated and help them learn how to transform their own ideas into their own entrepreneurial success.